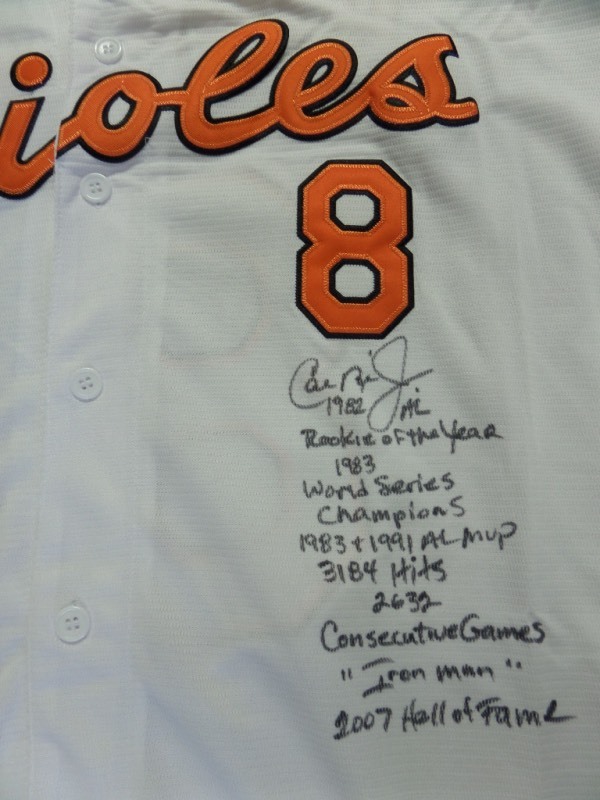 Coach's Corner - Cal Ripken Jr. hand signed/guaranteed Orioles "Stats" jersey. Go Back to Lot List Cal Ripken Jr. hand signed/guaranteed Orioles "Stats" jersey. This mint Baltimore home white is trimmed in the usual black and orange team colors and has sewn on everything, as well as name on back. It comes not only front signed by the "2131" hero and record holder, but with a slew of career stats and numbers written as a bonus. It is a clean bold 9 all over, and best of all, guaranteed real by us for life.